When you ask most JORI campers what comes to mind when they think about camp, they will most likely answer “TaCEO.” To understand what, exactly, that means requires a brief walk down memory lane. In 1909, the Jewish Orphanage of Rhode Island (JORI) was established in Providence. 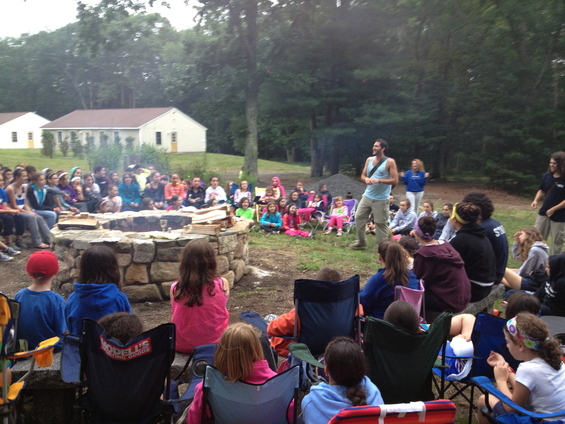 To offer a summer of fun for the residents, a camp was built in Narragansett. When the orphanage closed its doors, Camp JORI, as we know it today, was established. The idea of TaCEO can be found throughout camp on a daily basis—during activities, in the cabins, etc. Every day in the dining hall sits a box of “TaCEO Notes.” Campers and staff are asked to fill out a note when they notice someone doing something that demonstrates TaCEO. On Saturday night at our havdalah campfire, our director, Ronni Saltzman Guttin, reads these notes out loud. Every person who has a note written about them receives a bead that they can add to their TaCEO bracelet—a silver bracelet with their initials on it. Campers also receive beads every time they achieve a camp milestone—catching their first fish, getting a bullseye in archery, losing a tooth, etc. We mark these events in the same way. During a recent Shabbat, the pile of notes Ronni had to read out loud was rather large, so she stopped after reading about half of them and told everyone that she didn’t want to take up too much of their by reading them all. The community responded with a resounding, “Read them all!” Clearly this ritual has become a really important part of our camp culture.